Massey University director of executive qualifications Dr Patricia Bossons, Wendy Smith and NZIMF trustee Joe Hollander. The decision to tackle a Master of Business Administration (MBA) is big for anyone, but particularly so if you’re juggling full-time work and a young family. For Massey Executive MBA student Wendy Smith, further study was the only option for making a step-change in her career. She made the commitment, applied for a New Zealand Institute of Management Foundation (NZIMF) Scholarship and was ecstatic to be named one of two recipients for 2019. “It's a really big deal for our family as I was looking at borrowing the whole amount for my MBA,” she says. “Recently we’ve had some major medical bills so, with little savings, the scholarship has removed a lot of stress. The NZIMF Scholarship is worth $15,000 and is awarded to two postgraduate students each year whose studies focus on management and leadership practice. For Mrs Smith, it means an opportunity to one day really make a difference to the delivery of health services in this country. Already an experienced physiotherapist with a master’s degree in manipulation (of the physiotherapy kind) under her belt, Mrs Smith is keen to move out of clinical practice. “As a physio, you treat one person at a time, which is awesome, but it is by changing systems that you can have a really major impact,” she says. “There's a lot of barriers in the health sector and I realised the only way I could help to remove those barriers was to become a manager. She says she consulted with the general managers and executive team at the hospital where she worked until recently and they all gave her the same advice: Get an MBA. She is also looking forward to the personal development that comes with doing an MBA. “It's about developing as a person, really, for me. You learn a lot of technical skills but the key thing the lecturers are trying to teach you about is leadership,” she says. 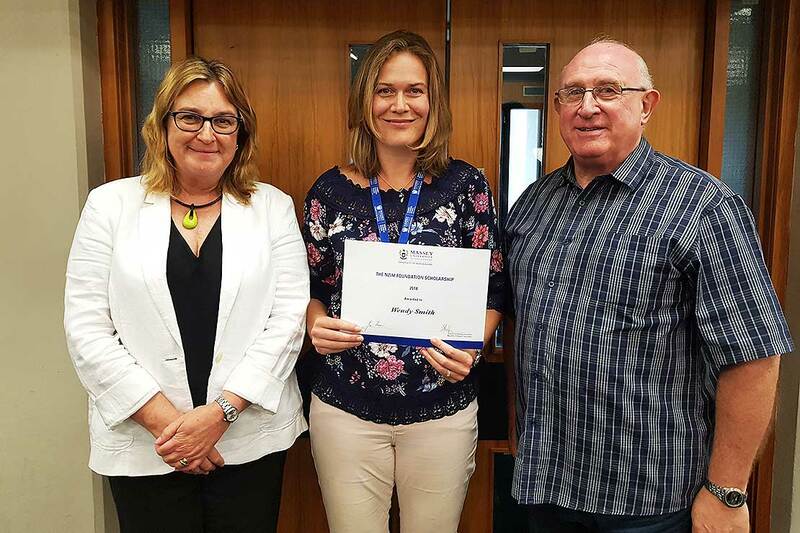 Along with the first contact classes for her Executive MBA, which she found “terrifying but totally inspiring”, Mrs Smith is about to start a new job as a change management facilitator with her local Public Health Organisation (PHO) in Whangarei. The organisation is undergoing major structural changes and she hopes her MBA research report will help it to change in ways that lead to service improvements. “I've always had a real urge to help the community, particularly up here in Northland where we have such a contrast in wealth in the population,” she says.